Slim and low profile, the Targhee 18 by Gregory is ideal for side-country resort access and shorter, one to two lap tours. When all you need is avy gear, water, an extra layer and a snack, the 18 is the pack for you. The dedicated avalanche tool organization with dividers fits a shovel, probe and other vital accessories. With a total capacity of 1098 cubic inches, the Targhee weighs in at a mere 1 lbs 14 oz. 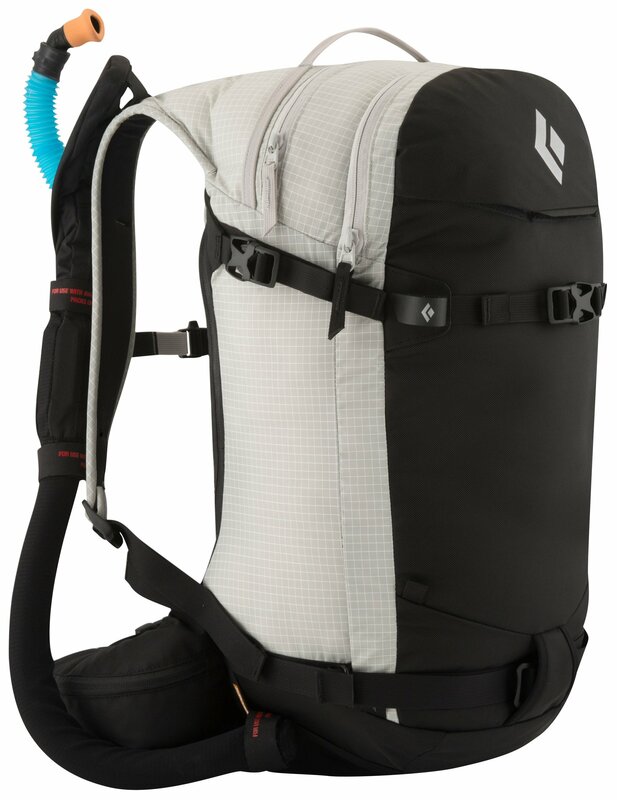 Gregory's Targhee 18 Backpack has enough space for a day at the ski resort, and there are tour-friendly features in case you decide to hit the backcountry. Its VertFlex suspension system ensures vertical stability as well as the freedom of movement that skiers need for the ascent and descent. 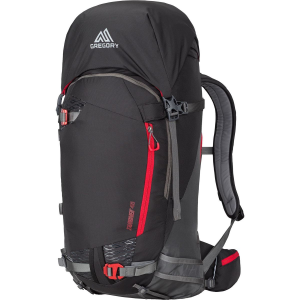 This system includes a sturdy frame sheet, snow-shedding fabrics, durable reinforcements, and high-density foam at the back panel and shoulder straps. 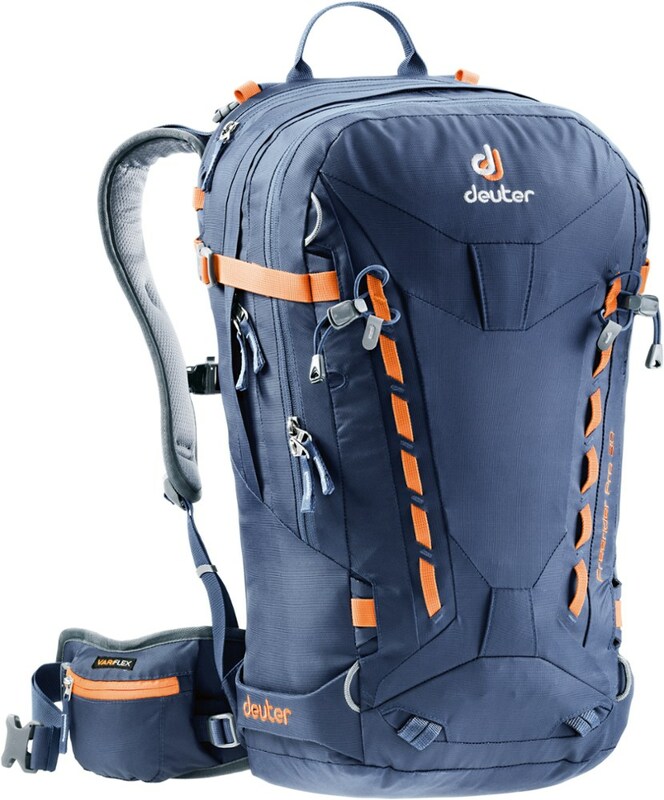 The Targhee carries skis diagonally for easy hiking, and you can stow the straps when it's time to shred. 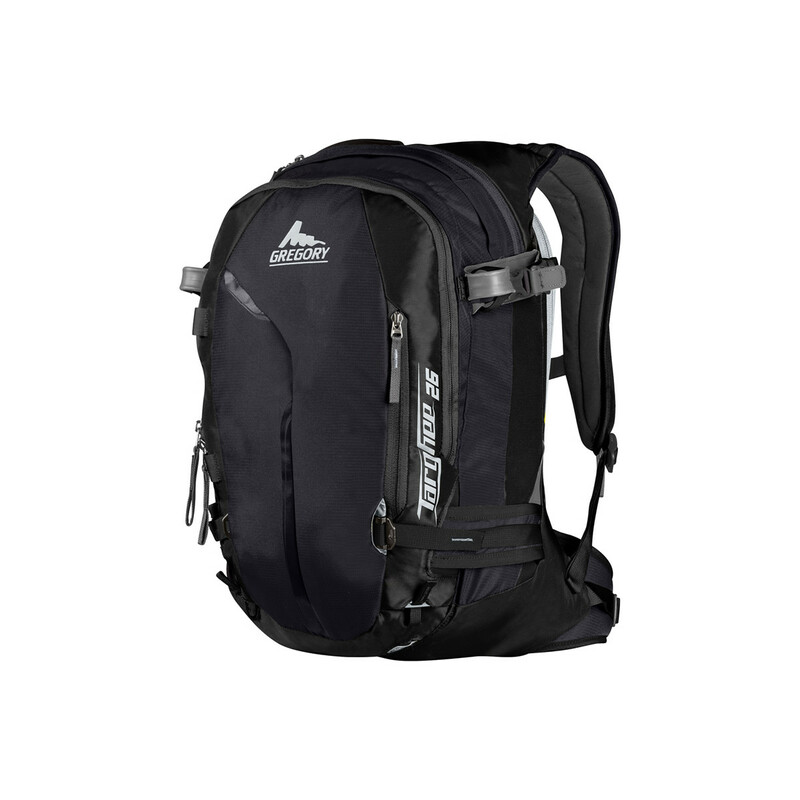 This backpack also holds avalanche gear for quick access to your safety tools, and the top panel access opens the main compartment wide. The hydration sleeve includes an insulated hose cover to prevent your water from freezing. 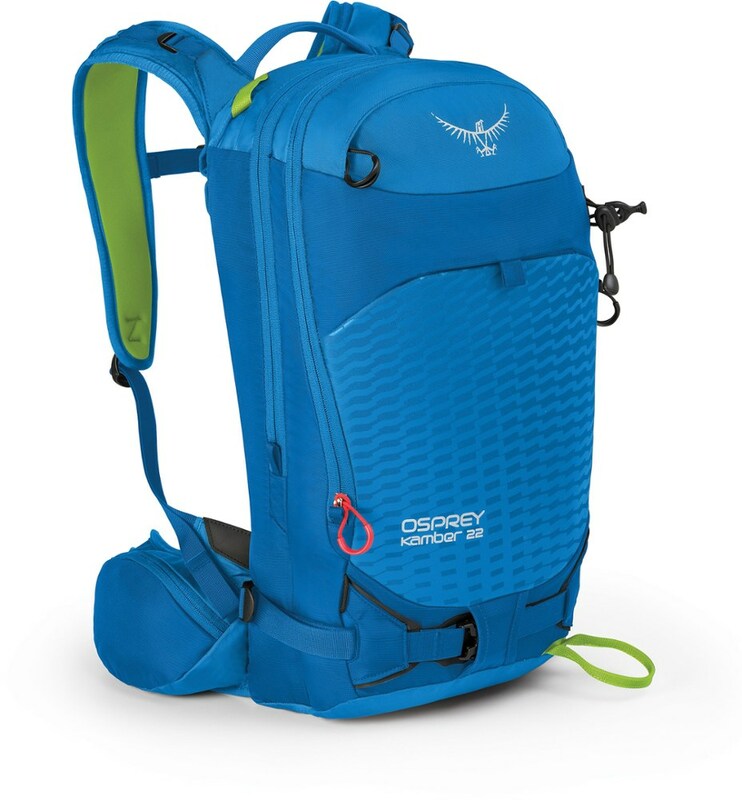 Gregory equipped the Targhee 18 with a top pocket for goggles and other valuables. Free Shipping. Gregory Targhee 18L Bag FEATURES of the Gregory Targhee 18L Bag Vertflex Suspension system Anodized aluminum hardware Rear entry to main compartment for full access to contents with bottom retention fence to help manage items with pack open A-Frame ski carry with hypalon reinforcement, will carry up to 130mm tail skis and is offset to keep ski tails away from your calves and tips away from your head Dedicated avalanche tool organization with dividers fits a shovel, probe and other vital accessories Stowable diagonal ski carry system with locking ski attachment Low profile, insulated hydration sleeve with easy entry port on shoulder harness Slide-lock on side compression and diagonal ski carry offers a secure hold that won't jam with ice or snow Molded backpanel with classic Gregory lumbar pad for optimal load transfer to the hips Snow shedding design of the backpanel makes it easy to clear snow Dual ice axe carry with modern tool attachment Stowable Snowboard or Snowshoe carry system with hypalon reinforced webbing and compression straps to customize fit Slim profile harness for ease of movement Padded front panel to protect against sharp edges of skis, shovel and other gear Safety whistle on chest harness buckle for quick access Snow plow buckles for winter use without risk of freeze-up/clog Top accessory pocket large enough to stow goggles Materials include 420D 6 6 nylon, 160D polyester ripstop, 630D HD nylon and 210D nylon Streamlined webbing waistbelt SPECIFICATIONS of the Gregory Targhee 18L Bag Weight: 1 lb 14 oz / 907 g Volume: 1098 cubic inches / 18 liter Click to download some super information on how to properly Fit a Gregory Pack . 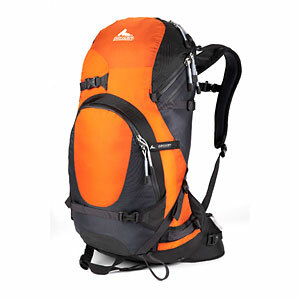 The Gregory Targhee 18 is not available from the stores we monitor. It was last seen January 18, 2019	at Mountain Gear.